Best to switch to the 4 way tilt. I agree with your thinking. chevman PS maybe just the top would be needed if that is possible. I have a newer one, that has the tilt. Maybe just a head will be cheaper and mate up. Although the whole hitch may be cheaper in our wacky world. I have the same hitch, never had any issues. If you had to buy a hitch I would recommend that you buy a B&W. As it is I think you should try the hitch you have and see how you like it. The side to side tilting is not a must. If you have the puck system I "HIGHLY" advise one of these, you WILL thank me. DR, I have a 2003 Reese 15K Pro that I still use and it has the side tilt head. Is the one you have a Reese or different brand? 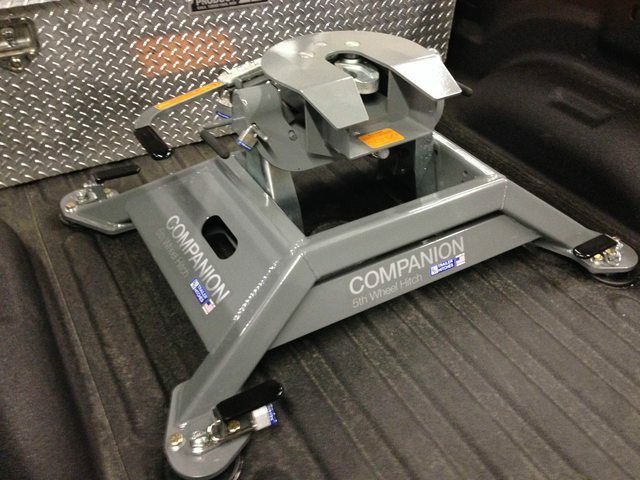 That Companion looks like a sweet hitch. That Patriot is a great hitch for a good price. If using a rail hitch, you'd be hard pressed to find a better one.